Dressing Trolley Standard is mounted on 4 castors of dia 5 cms. Product Size: 75L x 45W x 80H cms. 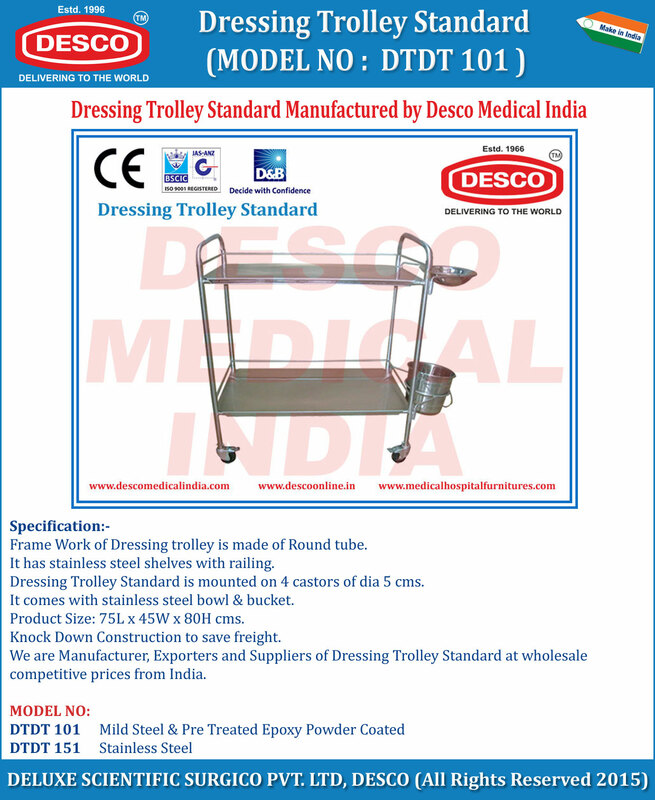 We are Manufacturer, Exporters and Suppliers of Dressing Trolley Standard at wholesale competitive prices from India.